I just love the gorgeous banner stamp set and matching punch from Sale-A-Bration!! So cute for making all types of cards. Don't forget you can earn these products for free! Check out all the info here. 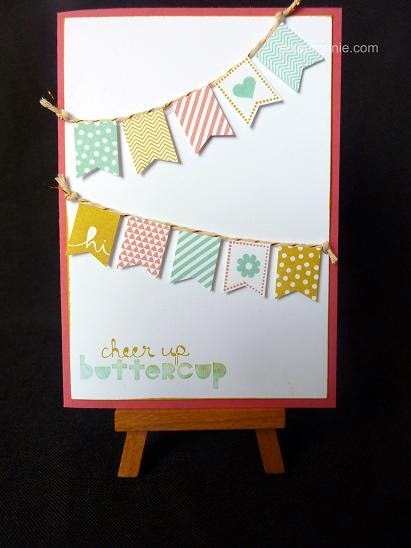 Materials: Banner Blast stamp set (133551), Banner Punch (133519), Geometrical stamp set (133158), Gold Bakers Twine (132975), Strawberry Slush (131300) and Whisper White (106549) cardstock, Strawberry Slush (131178), Crushed Curry (131173) and Bermuda Bay (131171) ink.